Beeztees Dog Bowl First Bite is a sturdy food bowl for your dog. 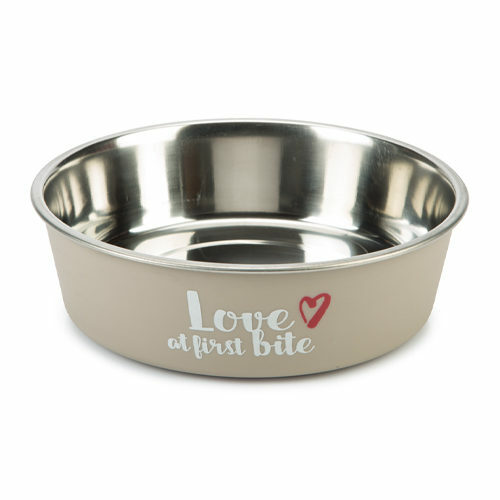 This dog bowl is made out of sturdy stainless steel and contains the text 'Love at first bite' on the front of the bowl. What could be better than a fulled dog bowl? This dog bowl can be placed in the dishwasher and is also suitable as a drinking bowl. Have you used Beeztees Dog Bowl First Bite before? Let us know what you think about this product.